FASHIONCLASH Festival Gender exhibition, designer market and Juliëtte Heijnen performance-> participants Also featured are images of Spatial design by Studio Stad. Graphic design: Studio Noto. FASHIONCLASH and ModaLisboa - Lisboa Fashion Week ModaLisboa created its 43rd edition around the theme of 'legacy' during an intense three days programme. 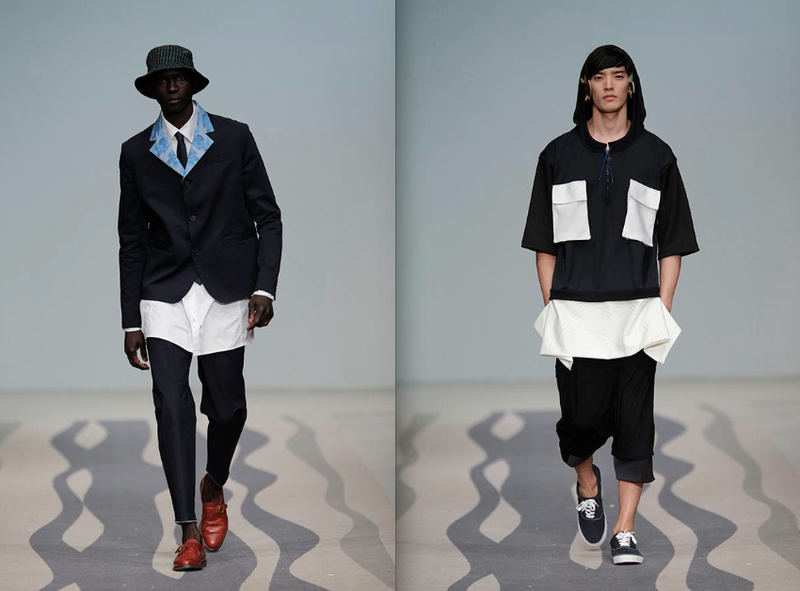 From October 10 to 12 both established and emerging designers from Portugal where staged in Pátio da Galé to present their collection for summer 2015. Since last June, FASHIONCLASH and ModaLisboa signed official partnership. FASHIONCLASH teamed up with ModaLisboa as we share the same mission to support emerging talents. In particular FASHIONCLASH partners with Moda Lisboa's Sangue Novo (New Blood), a platform for emerging Portuguese designers. The idea is that each edition one FASHIONCLASH Festival designer gets selected to show in the October edition of ModaLisboa and FASHIONCLASH awards each season one designer from Sangue Novo with participation at FASHIONCLASH Festival. Traditionally Sangue Novo show takes place during the opening night of ModaLisboa and this time 10 new designers where featured in Sangue Novo show. Among the selected designers for Sangue Novo at ModaLisboa Legacy edition, FASHIONCLASH Festival 2014 participant Andrea Lazzari of Plùs Que Ma Vie label has been chosen to show his collection within this collective show. Portuguese designer Catarina Oliveira, FASHIONCLASH Festival 2014 participant, was also one of the ten designers. FASHIONCLASH had the honor to award Inês Duvale with FASHIONCLASH/ModaLisboa prize, the second designer will be selected in the March edition of ModaLisboa in 2015. ---> For more information ---> check the image below! FASHIONCLASH is very excited to attend ModaLisboa for the very first time. In the past two very talented Portugese designers have participated during FASHIONCLASH Maastricht, Daniela Barros in 2012 and Valentim Quaresma in 2011. In connection with the international fashion event ‘FASHIONCLASH Maastricht 2012’ the extraordinary FASHIONCLASH Market is going to have its 2nd edition. FASHIONCLASH Maastricht 2012 is an interdisciplinary fashion event where more than 100 promising talents from 20 countries will come together to present their creations. Therefore FASHIONCLASH also wanted to provide a platform where visitors can purchase individual items themselves. FASHIONCLASH Market offers visitors the chance to browse around and discover unique clothing, accessories and design of young designers. Special feature: Performance of Juliette Bogers and Cynthia Jordens „Cut Away The Time Will Tell“. With dancers Martha Kosieradzka, Isa de Wispelaere, Angela Heranda and Tini Zimmermann. 8th/9th/10th June - a weekend not to be missed.